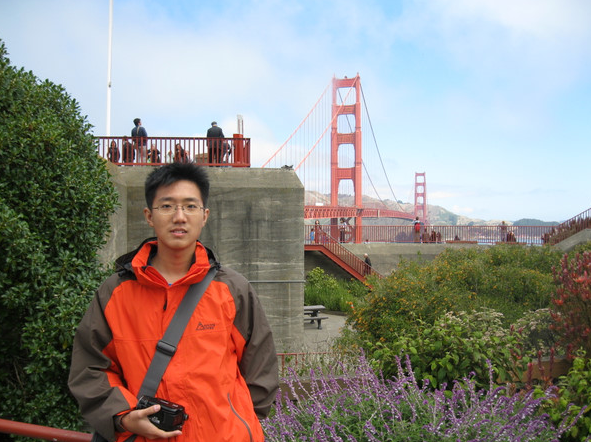 I'm Simon Wang that from WHU, my major is electronic science and technology.I used to come to USA the last summer and I walked around a lot of famous universities like Stanford, Berkely, Harvard. I can not speak English pretty well, but I think that usual communication is just ok.I think I am a kind of good at making short films, so if we need to make a short movie or someting, I think I can give some help. I like playing badminton also and I do not know whether there is a badminton court in OSU. I really enjoyed the life in OSU today, and I hope OSU can give me more surprise in the following days. I really like your guys and I really enjoy the time with all of you!!! 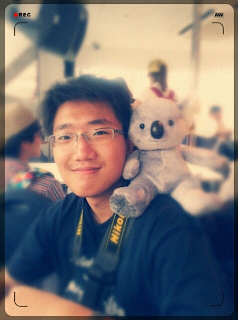 This is when I was in Australia. 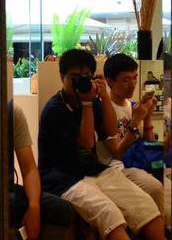 I and my friend was walking around the shops, finally we got tired so we sat in a chair to have a rest. This is when I was at Golden Bridge last summer. This is our first sight and I pretty like the weather in San Francisco, but it was a little bit cold in there so we had to wear a coat.